When I was in 8 th grade I decided that I was going to journal every day for a year. I had a stack of unfinished journals from various points in my childhood; the one with the glamorous girls shopping on the cover, the one with the fairies dancing around, the one I wrote in strictly with gel pens. All of these journals held such promise when I first received them with crisp blank pages, and now they were symbols of my inability to complete what I set out to. ‘No more!’ I resolved. As a mature 14-year- old, nearly in high school, I would write every day and would leave a record for those wishing to make a movie of my life in the future (if we’re being honest, that was my main motivation). What I didn’t know when I made that vow at the sweet age of 14 was that this would be the start of a lifelong ritual that would serve as my therapy, dearest friend, and closest confidant all in one. At 21 years old I have now gone through AND completed 7 journals (the orange one, the Vera Bradley one, the owl one, the Paris one, the recycled one, the striped one, and the woven one) and am on the 8 th (and the second one in this year alone. This is the first year I needed more than one journal!). While I’d like to say that I have written consistently since I made that decision way back in 2009, I cannot. I can however, tell you that I have written more often than not, and this year in particular have been overwhelmed by the amount I seem to have to say. Getting great use and enjoyment out of a journal is not quite as simple as just picking it up and writing (it can be if you want to be a casual journal-er, however we’re about to get more serious here!). It takes dedication, intentionality, and commitment, but gives you phenomenal benefits. ‘What are these benefits?’ you may wonder. Let’s go through them so you know why to journal, then we’ll attack the how part of it. To keep a record. Most of the contents of my journal are not an account of my thoughts and feelings, but rather of what I did and who I saw. It can help you remember your days and be a great form of reference. To make sense of your thoughts. Remember how I said before that journaling is my therapy? This is a place where you can assess your reactions and responses and give yourself advice. While it won’t be objective, you can at least look at it somewhere else rather than your head and take a stab at understanding yourself and motivations better. To always have a friend. While going out for coffee with friends is great, just imagine how much more mysterious and interesting you are as the girl in the corner scribbling away in a journal. What is she writing about? What is she thinking? Is she the next Hemmingway? Seriously though, you can always turn to your journal to talk about whatever you want, whenever you want. Now that we’ve established journaling is worthwhile, the question is how do you do it consistently and effectively? Buy an attractive journal that makes you excited to write. Check out your local craft store, Etsy, Amazon, etc. Decide how often you’ll write. You may not be an every day type of person as I now am (and multiple times a day, actually, if a lot is going on), so set a reasonable goal for yourself. Don’t worry if you miss your goal as you first start out. The more you begin to enjoy it, the less likely you’ll be to miss. Pick a place and time of day. I like to write in bed at the end of the day. I know other people prefer to work it into their morning routine and set intentions and lists for the oncoming day. Experiment to find what works best for you. Let yourself be free. When it comes to the content of your journal, there are no rules! If you feel like writing a novel, go for it. Rather draw a cartoon and call it a day? Up to you sister. Want to record the weather and what you were wearing in addition to how the cute guy finally looked at you? I think that’s great. What I’m trying to say is that while consistency and discipline will help you to realize those benefits we talked about before, there is no one right way to get there. This is the perfect time to develop a new, good for you habit. Follow these simple steps, let your mind guide you, and you’ll have a lovely keepsake for your own pleasure and enjoyment. 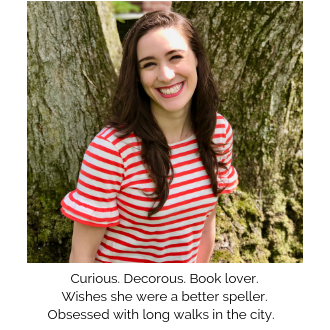 Check out my other post on 6 reasons why journaling is essential, and see why I am an advocate of physical rather than digital journaling. 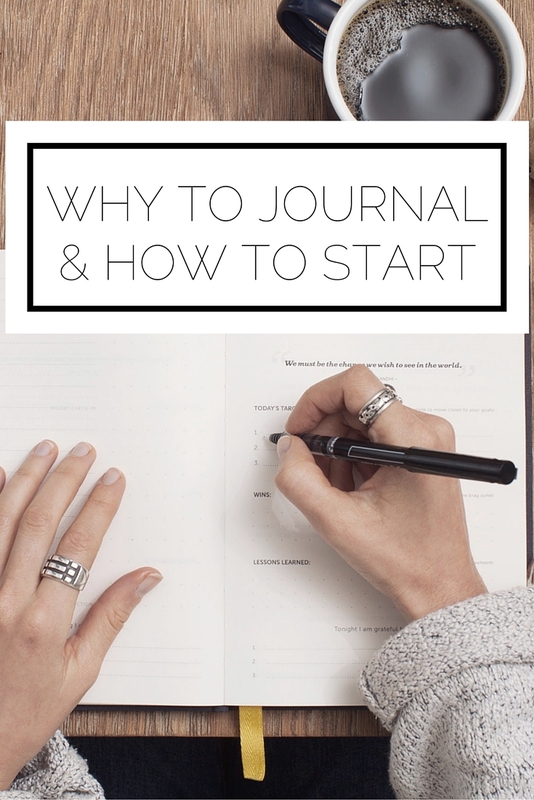 Are you already a fan of journaling? Do you want to start? This was originally a guest post on the Wonder Forest blog.